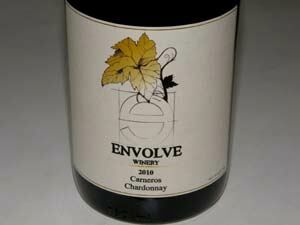 Two boyhood friends, Mike Benziger and Ben Flajnik, launched Evolve Winery in 2008. Another childhood friend, Danny Fay finished his wine MBA in Bordeaux and joined the winery as a partner in July, 2011. A second brand, Epilogue, was then started as a negociant label, to provide a lower price point line of wines. The wines are crafted in Sonoma Valley at Benziger Family Winery. Ben Flajnik become well-known in the press for his role in "The Bachelor" television program which aired in early 2012. The partners are engaged in natural farming with the aim of achieving organic and biodynamic goals. The Envolve Tasting Room is open daily 11-6 at 27 East Napa St., Suite A, Sonoma. Group bookings, private wine tasting with Ben, and private events of up to 50 guests available. 707-939-5385. The wines are sold through the winery's online store. Production is about 3,000 cases for the Envolve label with expectations that eventually a goal of 5,000 cases will be reached. Production of Epilogue wines is about 10,000 cases with plans to increase to as much as 50,000 cases annually.